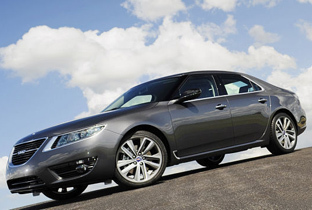 The 2010 Saab 9-5 is the first all-new version of Saab's flagship model for over 10 years. The previous model was updated repeatedly over the years but it had long since become outdated, and technologically it was well behind its rivals. 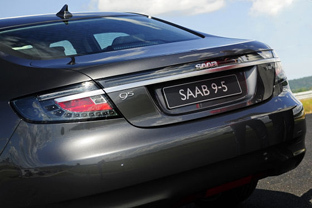 The Saab 9-5 shares the same platform as the Opel Insignia - clearly showing that the model was developed during Saab's time under the control of GM. Hopefully now the company is free of GM it will be able to show of its potential instead of being a starved and forgotten brand. However thankfully the Insignia's platform is a good one and the Saab is no worse off for the borrowed technology. 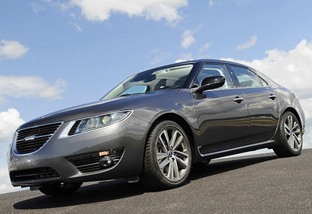 The 2010 Saab 9-5 is 17 centimetres longer than the previous model with a wheelbase increase of 13 centimetres. 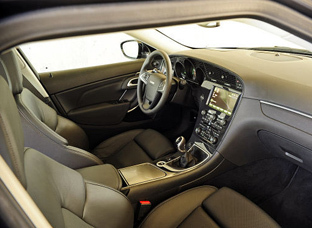 This provides more interior space for the passengers and offers a genuine large luxury car experience. The styling of the 2010 9-5 is not going to be to everyone's taste but there are definitely worse looking cars on the market. 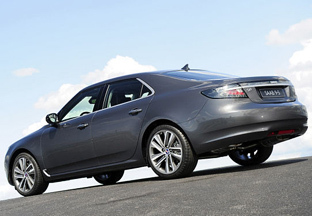 And the fact the vehicle looks significantly different to other offerings in the luxury sedan segment is no bad thing. One thing is for certain, the 2010 9-5 has a sense of presence about it. It looks solid and planted partially due to the thick C-pillars which looks like they are solely responsible for holding up the roof thanks to the blacked out A and B-pillars. 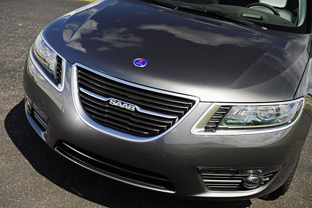 The jewel like LED headlights and U-shaped grille dominate the front end and instantly define the car as a Saab. The turn signals in the side mirrors are darkened in order not to interrupt the lines of the vehicle. 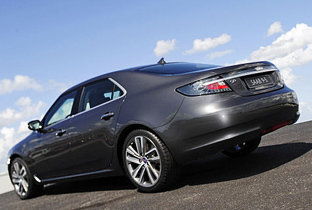 The interior of the 2010 Saab 9-5 has returned somewhat to the marque's roots with aircraft inspired touches and quirky details. There is an engine start/stop button located in the center console and the gauges are designed to look similar to those found in aircraft. 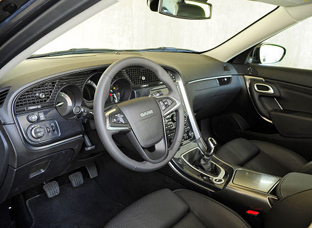 The 2010 9-5 is also equipped with a HUD (Heads Up Display), auto park system, three settings for the chassis (Comfort, Sport and Intelligent) Intelligent adapts to the driving style of the driver, Bi-xenon-headlights, Keyless Go, road-sign recognition system integrated into the Panasonic navigation system, touchscreen display monitor and a sound system from Harman & Kardon.